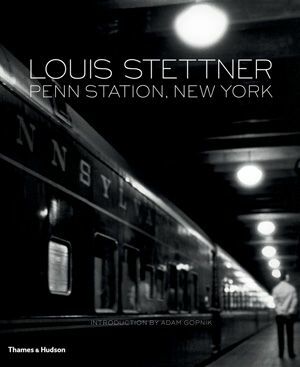 Louis Stettner is one of the last living members of the avant-garde New York School of photography of the 1950s, which challenged many of the long-accepted foundations of art form. His Penn Station series of the late 1950s represents some of his most important work, gathered here in a single form for the first time. The series is less a portrait of the building than a study of people at once in transit and in suspension. The pivotal moment for Stettner occurred in 1957, the year before he began the series in earnest. He had taken a photograph of a girl in a party dress stepping from one circular patch of sunlight to another across the vast floor of Penn station, away from the photographer into the shadowy distance. A year later Stettner felt compelled to return and create the series, but he found the photographs not “newsworthy” enough to publish. With time and distance, their significance has been recognized, and the series is now considered a major work of art. Thames & Hudson, 2015. Hardcover, 112 pages.